Deerwood Motel: Great Rooms at Great Prices! 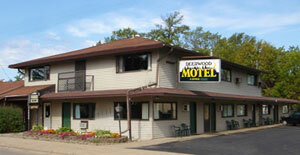 Deerwood Motel has served the Brainerd, Crosby, and Bay Lake areas since 1954. We are known as an economical, clean and comfortable destination for sportsman, seniors and area travelers. The best known area lakes are Serpent Lake bordering Crosby-Deerwood, and Bay Lake, just minutes south of the Deerwood Motel. We are close, yet far enough away from the frenzy you wish to leave behind. You are always welcome at the Deerwood Motel. 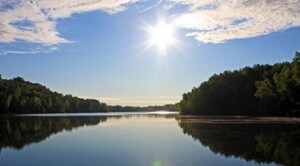 The Cuyuna Range Area is famous for unique activities such as antiques, fishing and its rich history of mining. This area is also becoming known as a key destination for “quiet sports”. Spend a day strolling thru the antique stores in downtown Crosby, go mountain biking or visit the Croft Mine to learn more about our area history. At Deerwood Motel, the customer always comes first! 218-534-3163. This is why most of our patrons return again and again for our affordable, friendly small town accommodations.